IECEx certification confirms that electric motors have the appropriate protection for use in explosive atmospheres and that they have been manufactured under systems subject to ongoing surveillance by IECEx Certification Bodies (ExCBs). Once installed, to ensure their continued integrity, the maintenance of these machines is important for their continued safe operation. IEC60079-19 is the International Standard for the Overhaul, Repair and Reclamation of such machines. How does an operator and user of Ex Equipment know that your Ex Service Facility is operating in accordance to the requirements of IEC 60079-19 and returning your Ex Equipment safe for use? Especially in a competitive market? The IECEx Certified Service Facility Scheme provides the means for Service Facilities to obtain an IECEx certificate. This certificate is intended to provide the international Ex community with confidence such that the Service Facilities can undertake the repair and overhaul work in accordance with the technical and quality system requirements of the IECEx scheme. The scheme is third party assessed and regularly audited to ensure continued compliance. 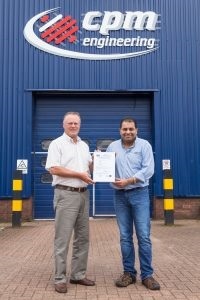 CPM Engineering Ltd, recently achieved the status of an IECEx ‘Certified Service Facility’. The reason behind the investment to achieve this certification was to give customers the confidence that their machines meet the standard. It also gives CPM’s directors the peace of mind that the company is operating to the highest levels of workmanship and safety, which were independently assessed by an external body. 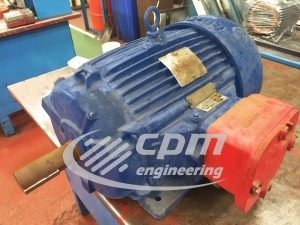 By achieving ‘Certified Service Facility’ status, CPM has shown that the required procedures are in place for CPM Engineering Ltd to be fully compliant with IEC 60079-19. The IECEx Service Facility Certificate of Conformity enables an Ex Equipment User to have confidence that robust systems are in place and monitored, within the Service Facility, to ensure that your Ex equipment will be overhauled and repaired in compliance with IEC 60079- 19, to the certification status as agreed with the Service Facility and that the equipment will be safe to put back in to service on its return.